Author: Spiegelman, Art Set In . . . Description: For Art Spiegelman, the Pulitzer Prize-winning author of Maus, the terrorist attacks of September 11, 2001 were both highly personal and intensely political. 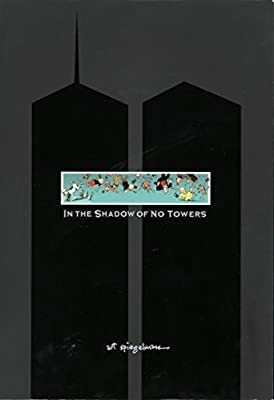 In the Shadow of No Towers, his first new book of comics since the groundbreaking Maus, is a masterful and moving account of the events and aftermath of that tragic day. Spiegelman and his family bore witness to the attacks in their lower Manhattan neighborhood: his teenage daughter had started school directly below the towers days earlier, and they had lived in the area for years. But the horrors they survived that morning were only the beginning for Spiegelman, as his anguish was quickly displaced by fury at the U.S. government, which shamelessly co-opted the events for its own preconceived agenda. He responded in the way he knows best. In an oversized, two-page-spread format that echoes the scale of the earliest newspaper comics (which Spiegelman says brought him solace after the attacks), he relates his experience of the national tragedy in drawings and text that convey—with his singular artistry and his characteristic provocation, outrage, and wit—the unfathomable enormity of the event itself, the obvious and insidious effects it had on his life, and the extraordinary, often hidden changes that have been enacted in the name of post-9/11 national security and that have begun to undermine the very foundation of American democracy.